What made the experience of listening to Dying for a Date the most enjoyable? 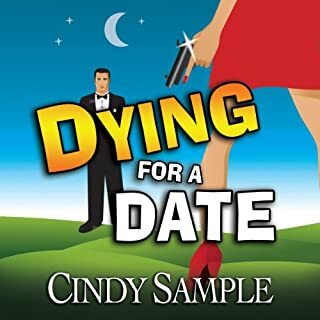 Author Cindy Sample makes the most of her knowledge of real estate shenanigans, cyber dating, the challenges of a single mom, and her delightful sense of humor, blending the ingredients into a believable plot with plenty of laugh-out-loud moments. The mayhem begins when Sample's heroine, a hard-working, divorced mom, tries a singles dating service. While some of the characters are zany, we've met all of them (and some may be relatives). The mystery is satisfying, and the humor a hoot. Definitely five stars. What does Pilar Uribe bring to the story that you wouldn’t experience if you just read the book? The narrator's take on the heroine is pitch-perfect and adds to the enjoyment. When artist Alex Jenrette experiences a series of terrifying events, from a near-fatal car crash to a savage abduction, when her drawings implicate her in a brutal murder...will revealing her psychic ability get her deeper in trouble? An Intriguing Suspense You Won't Want to Put Down! When it comes to characters with psychic powers, I'm often cynical. However, author Ellis Vidler paints the psychic powers of the McGuire women in such a compelling, believable manner that I totally buy in. The characters in Time of Death are relatable people you want to cheer for, and the villains are well-drawn, too. Superb pacing and lots of suspense. 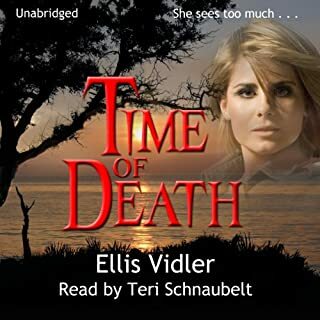 No problems giving this audiobook a five-star rating. Teri's performance is excellent. She does a great job with the voices of the men as well as the women.